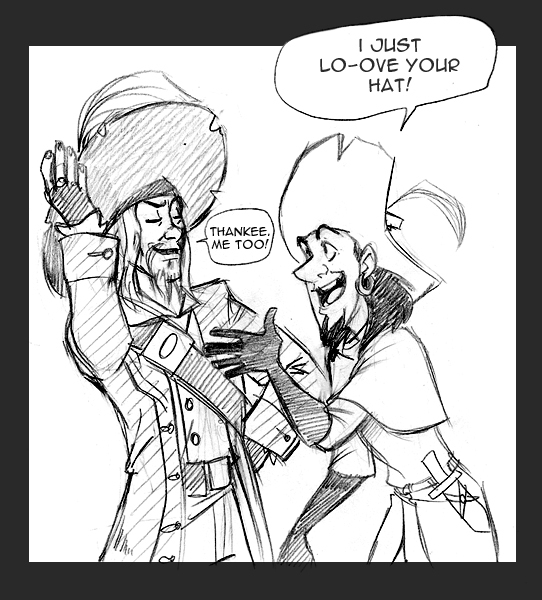 Clopin,Barbossa: Shared 爱情. A 爱情 of big hats. Wallpaper and background images in the 迪士尼跨界（crossover） club tagged: crossover disney clopin barbossa hats.